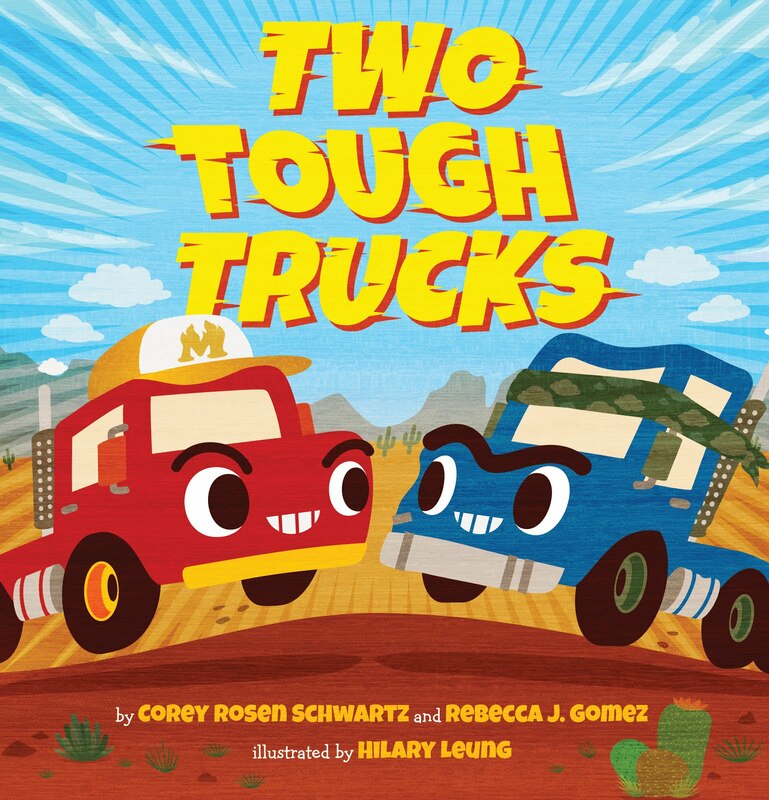 Rebecca J. Gomez: School Visit: Great Questions from Students! School Visit: Great Questions from Students! On Tuesday I spent the day at a local elementary school, visiting with kids from preschool to fifth grade. The students were all enthusiastic and engaged. They asked so many questions that one of the first things I did when I got home that afternoon was to write down as many questions as I could remember. I'll share them with you here, along with my answers. 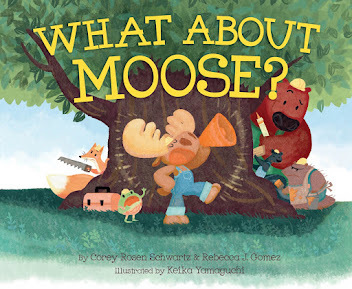 How did you get the idea for WHAT ABOUT MOOSE? Corey's daughter was a bit bossy, so she told me one day, "We should write a story about bossiness." We had a cast of characters from an earlier story that we thought would be perfect for a new story involving a bossy character. We thought it would be fun for them to be doing a building project together, and what could be more fun than building a treehouse? Follow-up question to that one: What was the story about that had the same characters as this book? It is about the same group of friends crowding into Porcupine's art studio and creating a big mess! I haven't counted, but I think it is over 50. Only two have been (or will be soon) published, though. *Note: 50 is an astonishingly large number to a group of 3rd graders. I have a manuscript titled PRINCESS PIE that I am hoping-hoping-hoping gets published some day. Why did you bring that stuffed moose? Because he's my inspiration! He sits with me in my office at home. Plus, I thought you would like him. *They did like him. Moose got several hugs. When I was very little. Maybe 5 or 6. As soon as I learned how to write! When did you start trying to be an author? About 15 years ago or so is when I decided I wanted to try writing as a job and not just for fun. Is it easier to write by yourself or with a partner? Sometimes it seems easier to write by myself, but having a partner has benefits. For example, Corey and I live in different parts of the country, and we each talk a little differently. So sometimes words that rhyme for me don't rhyme for her (like thought and not). Working to make the rhymes work for both of us means that they will work for more people in general. Also, it's fun to have someone to brainstorm with. Which part of the book did you write, and which part did your partner write? Great question! The truth is that the whole book was a team effort. Corey and I wrote the story together from beginning to end. We both had to be happy with every line and every word! How do you send a book to a publisher? It means that a story is put in finished form in a book or a magazine. Where was the book made? The book was printed in China, but the publisher has offices in New York, London, Toronto, Sydney and New Dehli. Are you working on other books? Always. 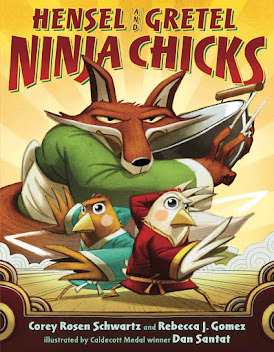 And Corey and I have another book coming out this year titled HENSEL AND GRETEL: NINJA CHICKS. Who is your favorite author and what genre do you like to read? It is hard to pick a favorite, but I really like Dr. Seuss a lot. And I read a lot of young adult books, especially fantasy. Writing stories is a lot of fun, but I also really like visiting schools to talk to kids about books and reading and writing. Why are you wearing an Ariel [The Little Mermaid] shirt? Because The Little Mermaid is one of my favorite movies! *And because showing kids that you like some of the same stuff helps them be more open to you.